Millions of children around the world will be celebrating the globally recognized holiday, Halloween. From Mexico, to the United States, to Canada, to Ireland; each culture has found a unique way to celebrate this ancient holiday. Traditions vary in differing cultures, but a few things remain the same: pranks, games and costume parties. For this reason, Halloween is a great time to teach your children a new language and culture. In over a dozen cultures and languages, you can find Halloween traditions, old and new, that will keep your child wanting more! 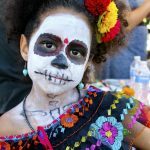 Angela Jackson, founder of the Global Language Project, a nonprofit program that teaches youth a second language while preparing them them to compete in a global workforce, gives some great exercises and games to introduce your children to various cultures this Halloween. 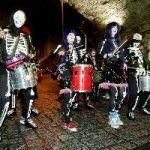 In Mexico, Latin America and Spain, All Souls’ Day, which takes place on November 2, is commemorated with a three-day celebration that begins on the evening of October 31. The celebration is designed to honor the dead who, it is believed, return to their earthly homes on Halloween. bonfires are lit as they were in the days of the Celts and children dress up in costumes to spend the evening “trick-or-treating” in their neighborhoods. Children are also known to play tricks upon their neighbors on Halloween night. One of which is known as “knock-a-dolly,” where children knock on the doors of their neighbors but then run away before the door is opened. In Korea, Chusok is a time when families thank their ancestors for the fruits of their labor. 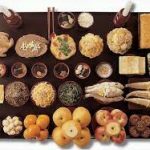 The family pays respect to these ancestors by visiting their tombs and making offerings of rice and fruits. The Chusok festival takes place in the month of August. 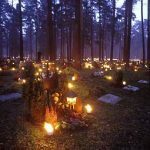 In Sweden, Alla Helgons Dag is celebrated from October 31 until November 6. As with many other holidays, Alla Helgons Dag has an eve which is either celebrated or becomes a shortened working day. The Friday prior to All Saint’s Day is a short day for universities while school-age children are given a day of vacation. 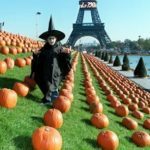 Unlike most nations of the world, Halloween is not celebrated by the French in order to honor the dead and departed ancestors. It is regarded as an “American” holiday in France and was virtually unknown in the country until around 1996.